With Ritch Shydner. What a pro, love that guy. 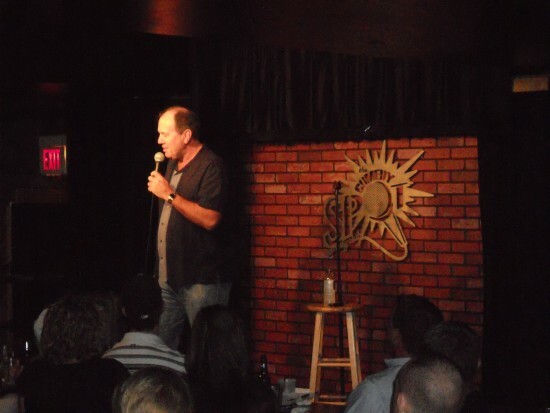 The Comedy Spot, Scottsdale, AZ. Bob and Tom Show. That was fun. I'm ready. Let's do this. La Crosse, WI. Kevin Pollak is a funny guy. Mason City Limits, Mason City, IL. Great crowd. Comedy Caravan. Louisville, KY.
Six "sold out" Shows. John Pinette, Tempe Improv. Gut Buster Comedy Room, Covington, LA. 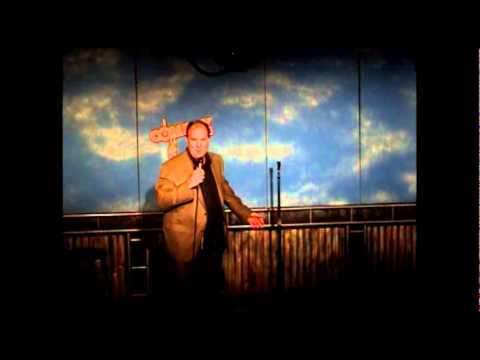 Tim Bateman is an "Australian" comedian living and working in the United States, who has just recently returned from doing "comedy for the troops" in Kuwait and Iraq. Tim's comedy is clean to edgy. However, he's a featured comedian at both "Clean Comedy USA" and "Golden Years Comedy". His clean, family friendly, original material has made thousands of their clients laugh. 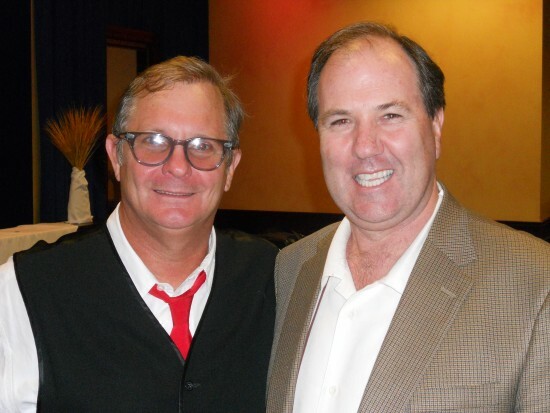 Some of his corporate clients include Intel, EideBailly, Lennar, U.S Home, Bank of America and D.A.R.E. For Tim, no event is to small or to big. He can tailor his comedy to suit your event. He is reliable, pliable and willing to do what it takes to make sure your event is a successful one. Tim was awesome, and included some very clever personal razzing for my husband’s 60th birthday. He was a hit and made the party! Everyone loved it! Tim was great - everyone really enjoyed his comedy. Thank you Tim for making my Dads 80th Birthday party something to remember. I appreciated the clean humor in front of the kids and Thank you for Making us all laugh. Tim, was 5 out of 5, great ! Tim, did a great show, he asked me a few questions, made notes. Every one loved him, we will ask him back next year. I had a ton of compliments! Thank you Dennis. It was a fun night. Was a pleasure to do the event, really enjoyed that group. Good people. He will kill it for you! Awesome! Tim will not just show up and do his Gig. He will spend the time to understand your Audience in order to make your event a success. I have no hesitation in recommending Tim for your event. Rick. It was a pleasure to work with you guys. Had a ball. Thanks again. I saw Tim Bateman over a year ago at a show that included about a dozen different comedians; he made me laugh harder than any of the other performers. I got to see him again at a show in Phoenix last December. This guy's smart and hilarious -- I'd go see him again in a heartbeat. We saw Tim in Las Vegas at the LA Comedy Club and had a great time! He's a funny, funny guy! Very funny, good time, and clean for the whole family. I would attend another show. OMG! This guy was hilarious! My boyfriend and I went to see Norm MacDonald and this guy was also performing! Double whammy! *Invited Comedian - Arizona Laff Off. *Finalist Going Hollywood Comedy Contest. * The Improv, Tempe,AZ, Houston,TX and Hollywood,CA. * The Laff Spot, Houston, TX. * The Comedy Showcase, Houston, TX. 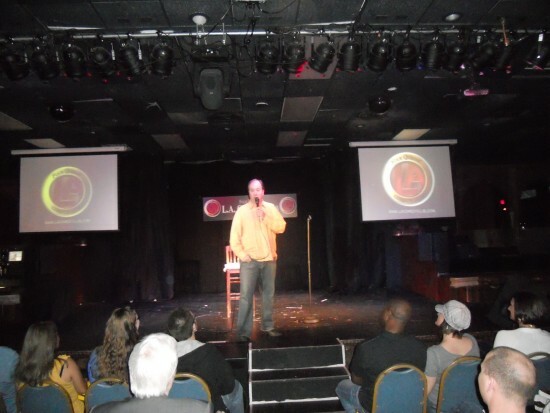 * The Comedy Spot, Scottsdale,AZ. * Harrah's Ak-Chin Casino, Arizona. * Laffs Comedy Caffe, Tucson,AZ. * The Ice House, Pasadena, CA. * Gut Buster Comedy Room, Covington, LA. * The Funny Bone, Columbus,OH and Baton Rouge,LA. 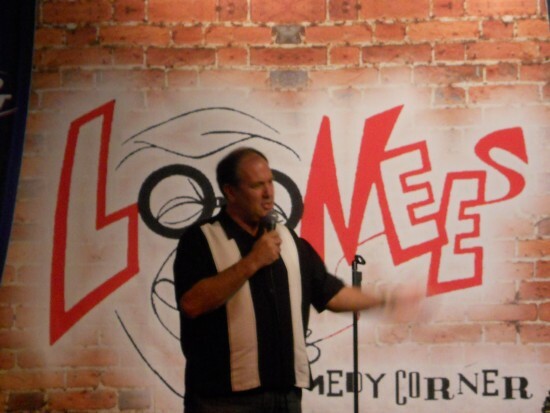 Tim has opened for and worked alongside comics such as Norm MacDonald, John Pinette, Jeremy Hotz, Ritch Shydner, Shayla Rivera, Tim O'Rourke, Mark Cordes, Kermet Apio, John Caponera, Robert Mac, Joey Medina, and "Cowboy" Bill Martin to name but a few. Call Tim today, he is a good listener, friendly and inviting. You can be assured he will make every effort to make sure you look like the event planning genius you are.